I shot this yesterday evening. 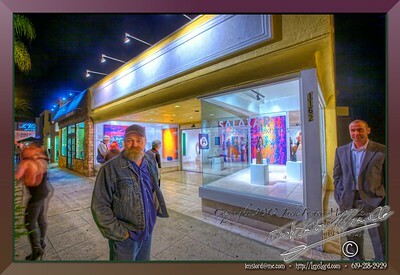 I am posting it right now because, this evening, February 04, 2012, at the Alexander Salazar Fineart Contemporary Exhibit space in La Jolla, Fred Briscoe will be in attendence. You can meet him, and ask about his creative process concerning general information, or the particular pieces on display. He works in stone and various metals. And, he is a very nice man. (Addendum 20120206) By the way. I had met Fred a couple years ago when I was shooting for the San Diego Fine Arts Society’s creator, April Game. The San Diego Fine Arts Society has metamorphosed into artpulse, and April Game is the Executive Director. Posted in Alexander Salazar, Artists, artpulse, Building Exteriors, Building Interiors, Man, S.D.F.A.S. Sometimes, when I am wandering around shooting images, a face just jumps out and says, “Howdy.” This face did just that. She looks so comfortable surrounded by suitors. 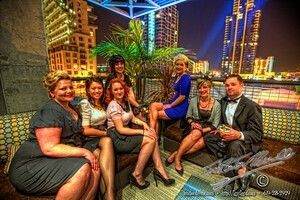 These images were shot for April Game, and the San Diego Fine Art Society, at the Hollywood Glamour Ball that was hosted at the Anthology in San Diego. 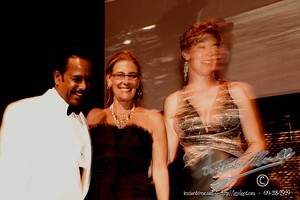 This is another image from the San Diego Fine Art Society’s Hollywood Glamour Ball. 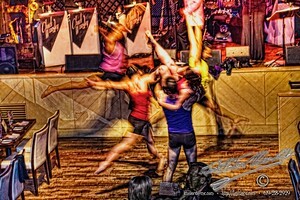 In this image, the dancers are moving at a pace far beyond the pace of mere mortals. They are the Dancers. Twisting, spinning, jumping, moving, in ways most of us can only remember as a child. Dancers lift the spirits by showing us what we could accomplish if only we tried. … I laugh a little at that statement, because it is not really true. We only imagine it is true. That concept of being able to dance is just like people thinking they are photographers because they have a good camera. Dancing, and any other art, takes time, and dedication, and a gift of innate adeptness. View this image in its set. I am taking everything to April Game today. … And for your pleasure, these are the final sets from the Hollywood Ball. Of course, you can view everything by wandering around in the galleries, but here are a few high points to me. Posted in Artists, Building Exteriors, Cityscape, Event, Performers, Portraits, S.D.F.A.S. 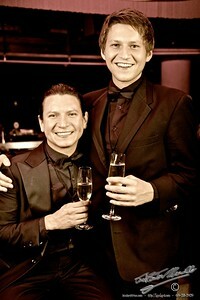 At the Hollywood Glamour Ball, we set up some studio lighting and shot a few images. … Anyone who wanted a shot, we shot. Posted in Groups, Portraits, S.D.F.A.S. View image in its set. 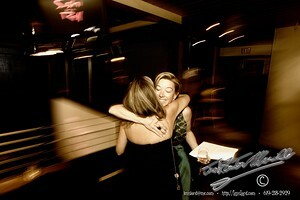 It was a wonderful evening, and the image editing is moving along. 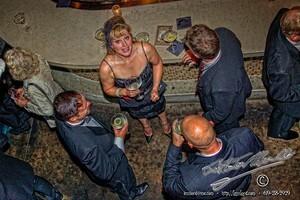 … There are one hundred and fifty newly edited images from the evening of the San Diego Fine Art Societies Hollywood Glamour Ball. I think you will like some of these very much. There are still more to come, and as these images are being placed on the server, I am editing the other sets that will be going up tomorrow. Posted in Artists, Event, Groups, Painterly, S.D.F.A.S.